How I detangle her beautiful hair like a boss! I was not provided a free product or money for this review. I just love it and thought I would share. I do have a few affiliate links included for your convenience. Her hair is also almost always in a braid or a pony tail. It falls into the toilet when she goes potty which is ridiculously gross…even more so since I have to remind her not to chew on the ends of her hair. The tangles are horrifying to brush out. Her head is sensitive. In other words, she screams like a banshee being boiled alive when I brush her hair out. 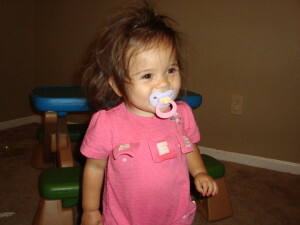 Each night, after treating her hair with half a bottle of conditioner, I would start to brush her hair. Thirty minutes later, I would still be working on the tangles and she would be crying. We both hated it. 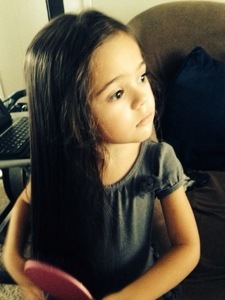 I wanted to cut her hair so badly but she, her daddy, and my mother love it long. That being said, I have cut difficult snarls out of her hair rather than continue to torture her with the brush. I used coconut oil, baby oil, conditioner, detangler and biosilk on her hair and still it took forever. Her detangling products cost more than all my hair styling products combined. But all of this changed when a similarly coiffed friend of mine recommended I try the Wet Brush. I love this brush. I use it when her hair is wet or when it is dry with minimal complaints. It’s sturdy and does not scratch her sensitive scalp at all. Doing her hair takes far less time than it used to so we both get more sleep. We went from a bunch of products to two. I use Garnier Fructis Sleek and Shine Conditioneron her because it is thick and seems to work well with her fine hair. So if you have a little girl, I wholeheartedly recommend that you go out and purchase the Wet brush. At under $10 bucks and in many colors, you might even start a collection like me. Pea has the pink one, of course. We also have a purple one and a couple of other shades of pink. Losing the brush is a big fear I have so I have a few back ups. 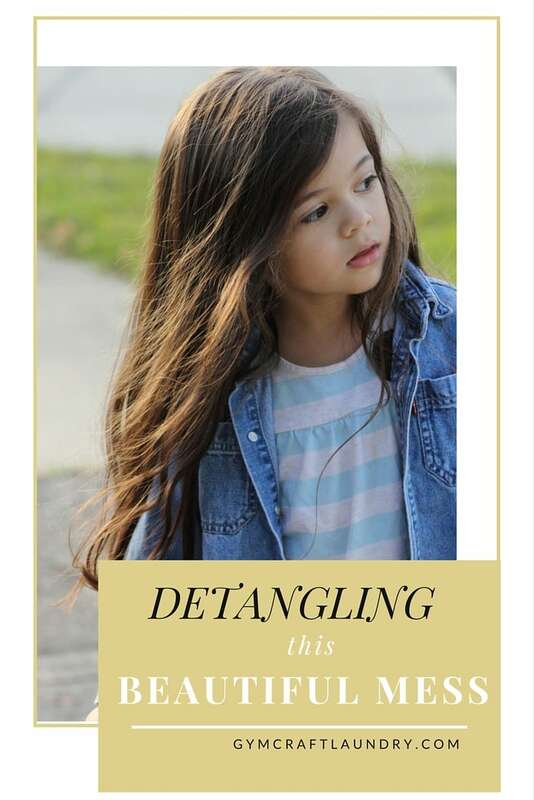 Do you have a tender headed girl with tangle prone hair? What is your favorite product to use? She is so beautiful! I laughed out loud at the Nick Nolte comment. 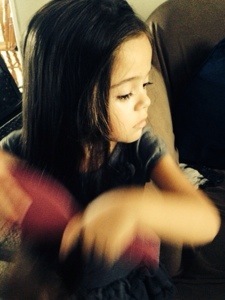 My daughter has massive tangles. We need something like this very badly! 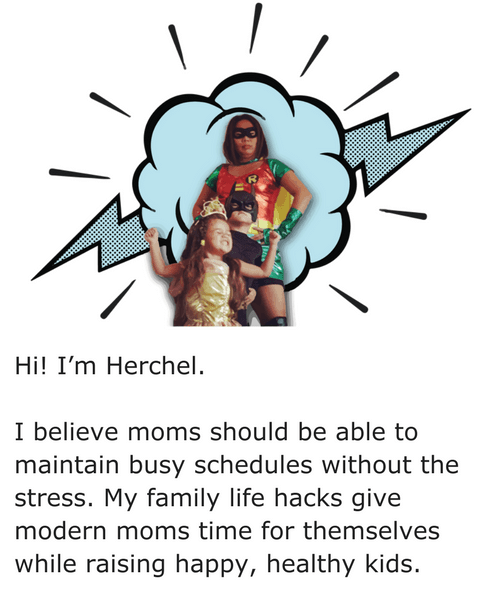 Tamara recently posted…Look Ma, No Hands! Thank you Tamara! I saw the brush for sale at the cash register of Toysrus recently. I love it. It really works. My eldest daughter & I both have curly hair I’m willing to try anything!! I also use Garnier Fructis sleek and shine conditioner. It’s thick and works really well. The brush has bendy bristles. Not sure what makes it work so well though. I love her hair…so beautiful! I wonder how this brush would work on a teen’s long hair…probably the same, right? It definitely would. I bought ours at a hair salon before the product marketers realized that it would be great for kids. I only recently started seeing the brush in regular stores. 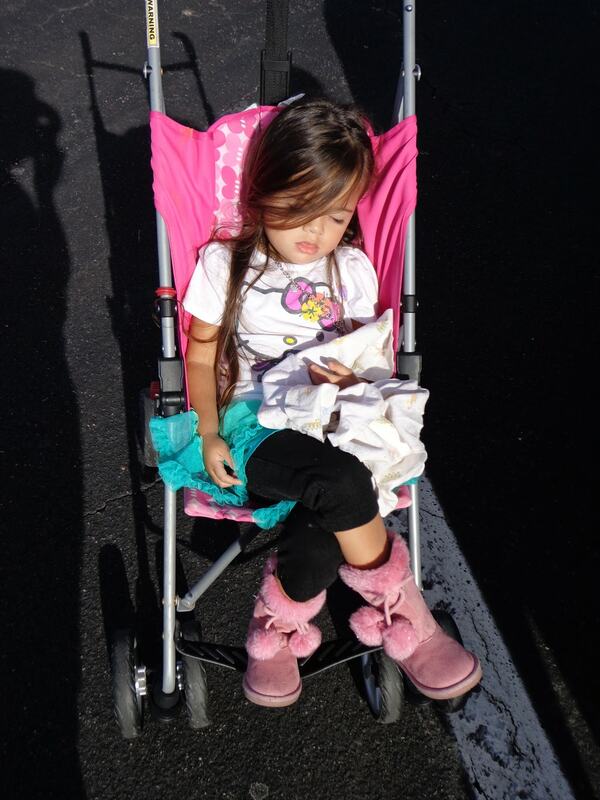 Jelous of her long hair:) I wished for my daughter that she was gonna have long hair, but she cutted her hair. She is 4 years old and she took a scissors and just cut it off under the ears:( So I had to take her to a hairdresser and then she got a short page instead. Oh no! It will grow back. I need to find this! 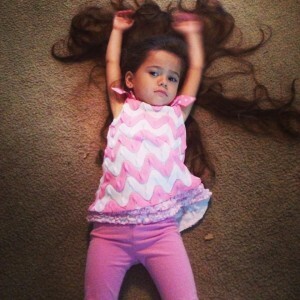 My daughter also has long, thick, wavy hair. 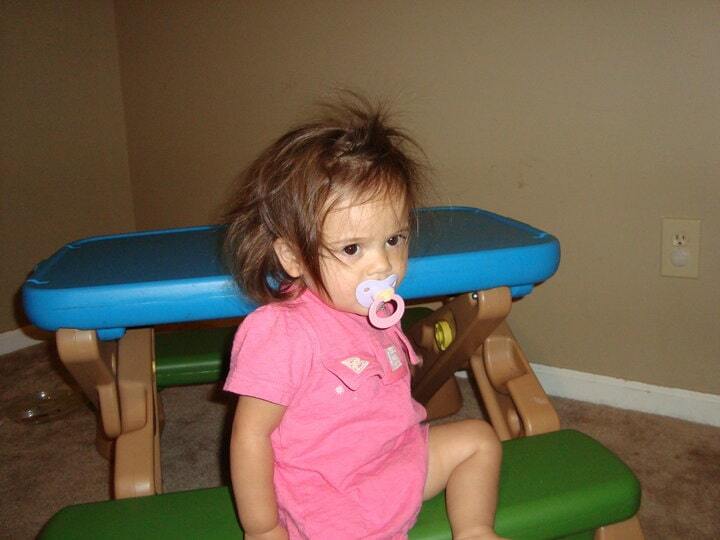 I am all-too-familiar with the tears and the fussing when it comes time to brush hair. Thank you for sharing – you have probably helped more people than you realize. Neena recently posted…Why Are You Using Small Coasters? Her hair is so pretty! My daughter has thick, want hair and a sensitive scalp, to, but I don’t let it get very long because it tangles so badly. And she always cries when brush it. This brush sounds great! We have a knot genie that works really well, too. I rarely let her wear her hair down. I always ask her if she gets really hot lol. She is soooo pretty! 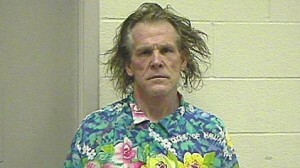 And so is her hair (and the Nick Nolte mugshot hair? Snort!). This brush has soft flexible bristles too. I wonder if it is a similar brush. I really didn’t think it would work as well as it does. It looks just like countless other hairbrushes we’ve used. Oh my gosh. Her hair is gorgeous! I’m so glad you found a good solution to the brushing problem. Ooooh I’ll have to try it! !